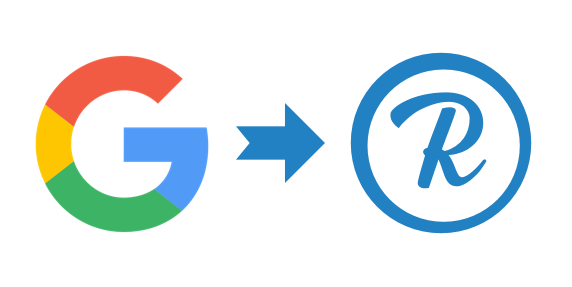 Finding the Best Google URL Shortener Alternative as the platform shuts down. In March 2018, Google URL Shortener (Goo.gl) announced that it would be winding down its services and eventually shutting the platform down. Immediately, the use of the platform was cut off for any new or anonymous users, while current users were given the year to migrate their links to another link management system. Come April 2019, Google URL Shortener users will no longer be able to create new links. As the deadline is quickly approaching, users must quickly develop a migration strategy. When looking for a new URL shortener, consider Rebrandly as the Google URL Shortener alternative. Rebrandly is the most complete and reliable link management platform on the market. Our solution provides the easiest way to create, measure, and manage short URLs with a custom domain name. Already a Google URL Shortener user, and looking for a replacement link management tool? First, let's highlight the key differences you can expect between the two services. Out of these limitations is why we created Rebrandly. We want you to have full control over every link that you share. Rebrandly offers the above features and more. Many speculate that the reason Goo.gl is shutting down its services is because of the association between generic short URLs (like the ones Google URL shortener provides) and spam. Generic URL shorteners are often used by spammers to disguise links that lead to malicious sites. Even if you're not a spammer, if you're using the same generic URL shortener (in this case Goo.gl) your link can be banned by certain sites and email servers. This spamming issue goes even further than Goo.gl. It's a problem in the entire generic short URL industry. As services and sites continue to blacklist these generic links, the solution is to switch to using branded links when shortening URLs. Here are some of the ways creating branded links with Rebrandly can help your business maximize each and every link. Which of your communications drive the most traffic? What’s the quality and composition of that traffic like? Which campaigns are working and which need some more work? Email, Twitter, SMS, QR-Codes, display and CPC ads, and print are only a few examples of the channels every business use to market and communicate products to their audience; are you leveraging them effectively?